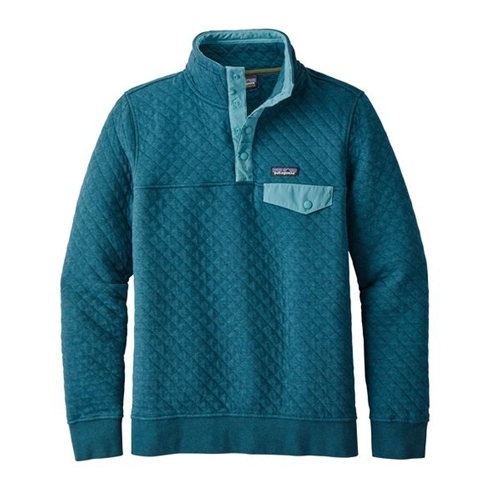 Am I the only one that has had my eyes on this Patagonia Women's Cotton Quilt Snap-T Pullover for quite some time? Today you can grab the pullover in the Elwha Blue for $79.00, regularly $149.00. Right now they have the blue in all sizes. They also have the Dark Ruby and Navy Blue in size L available. Free shipping on all orders over $80 so if you are only buying one pullover throw a cheap accessory in your cart so you don't have to pay shipping.